We Clean Carpets - Area Rugs & Upholstery. in Reno Nevada. Check them out today. 705-482-0370 or use the contact form to the right and we will get right back to you. Serving all areas including: Verner, Mattawa, Marten River, Sundridge, Redbridge, Astorville, Bonfield, Callander, Sturgeon Falls, Nipissing, East Ferris, Restoule, Machar, South River, Joly, Chisholm, Magnetawan, Strong, Kearney, Perry, West Nipissing, Cache Bay, Crystal Falls, Field, Lavigne and surrounding communities. 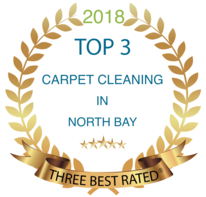 Carpet Cleaning North Bay and Area - we have you covered. Don't let those dirty carpets get you down.